Another fantastic day at SFBI! It truly saddens me to think that by tomorrow this workshop will be over. We are learning so much while having such a good time that telling us to go home and practice by ourselves sounds positively sadistic! 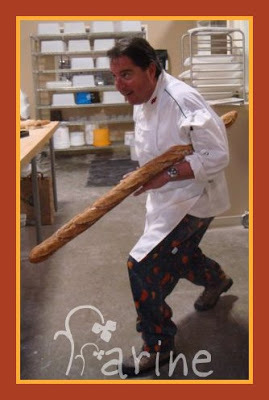 Above is a picture of Keith Giusto, of Full Circle Baking Company in Petaluma, doing an imitation of a Frenchman walking home with his baguette. According to him the only thing this Frenchman lacks to be true to life is a beret! Giusto – who came to SFBI to demonstrate some of his formulas – bantered all day with Rosada about France and Italy, keeping us in stitches. When he wasn’t tickling our funny bones, I found extremely endearing his passionate plea for organic farming (and the survival of organic farmers) and his call for responsible sheperding of the land (“they won’t make more if we ruin it”) as well as the fervor with which he approaches bread and bread-baking. I will definitely make it a point to visit his bakery next time I am in California. 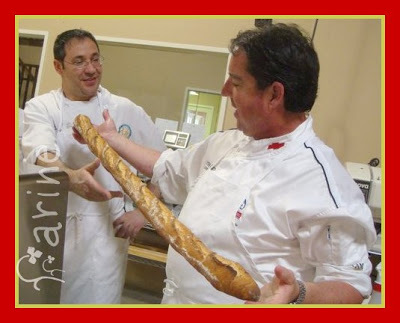 This extremely long baguette was proofed in a wooden French proofing mold that Giusto found at an antique fair. It was used in the old days to make “pain marchand de vin”. I don’t know about wine merchant’s bread (I had never heard of it before today) but with a crisp thin crust and a crumb the color of light honey, this modern baguette was exceptionally tasty. Besides his mastery of the art of the baguette, what I greatly admire about Giusto (as about everyone that I have met to this day in the world of professional bread baking) is the modesty with which he says, after a long life as a baker, that he is still learning everyday and that his best breads result from mistakes. 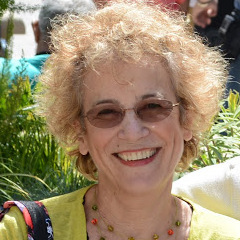 Giusto encouraged us to go ahead and experiment as there is plenty of room for new techniques and new flavors. 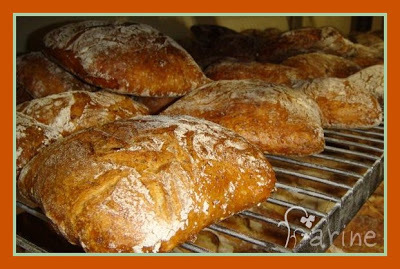 He also encouraged us to open our own bakery if we could as the more artisan bakers there are the more likely corporate farmers will be to sit up and notice. He demonstrated the making of his trademark sprouted wheat power bread (more on that tomorrow as the batards are currently retarding in the cooler to be baked in the morning) and shared the secret of his killer sponge (merciless beating in a heavy-duty mixer equipped with a paddle). 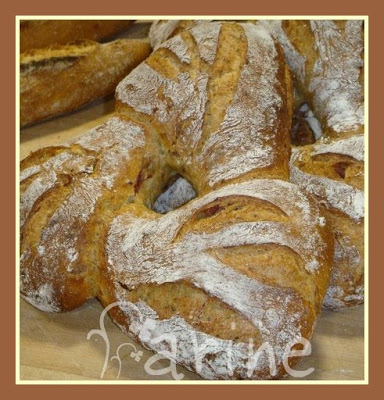 I wake up expecting to find you staying over for the next course available, or opening your own boulangerie! Thanks for letting me live through your experience and seeing such exceptional looking breads, through your photo’s and excellent reportage! 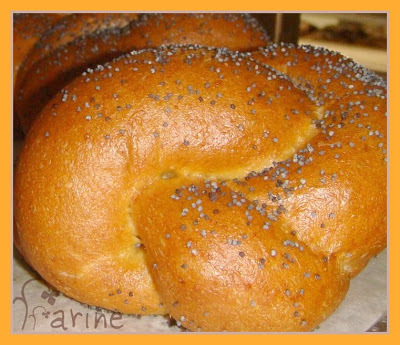 Pain marchand de vin was one of several very long (up to six feet) breads commonly made in the nineteenth century. It was a bit flattened in the middle. Winesellers for a long time also sold food, so this was very likely the bread they offered in their shops. The other two main types (there were a number of them) were pain jocko and pain fendu (split). When the split was on the side, rather than down the middle, the latter became a grignon.